The City of Torrance Planning Commission approved the proposed seven-story Miyako Hybrid Hotel, located north of the Mitsuwa Market Place on Western Avenue. The $30 million project includes an upscale hotel with 215 guestrooms and a separate four-story parking structure on 3.8 acres. 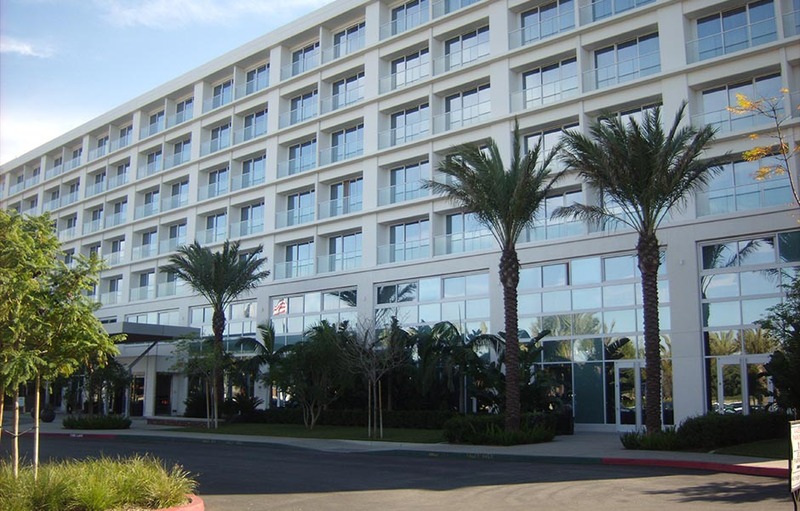 The new Miyako Hybrid Hotel proudly opened its doors in Torrance/South Bay California, a crossroads of culture and business between Japan, Asia and the United States. As the word “hybrid” suggests, this exciting property is eco-friendly with a solar-powered electrical system, environmentally responsible construction materials, and, of course, recycled materials. The hotel building will be 75-feet high and is tentatively called “hybrid,” since it is a brand new concept of more eco-friendly and energy efficient hotel. The plan includes solar panels to generate the electricity, “green roof” which incorporate soil and plant materials for oxygen production and roof insulation, low flush toilets, and other power saving concepts. VCA Engineers provided civil engineering services involving: new hotel site improvements, sewer flow monitoring, storm drain discharge relocation, ALTA map and lot consolidation of parking lots, building expansion, building shift, and new parking lot designs. VCA provided topographical mapping and surveying showing existing surface features as well as existing visible underground utility lines. In addition to these roles, VCA prepared construction documents that included civil drawings depicting: Site Horizontal and Vertical Control, Site Paving, Grading and Drainage with local Stormwater Management Design (SUSMP), hydrology and hydraulics study, cut and fill, Erosion Control Plans, SWPPP Application (NOI only), Utility Plans and Profiles, Site Sections, and Miscellaneous Sections and Details, including details of critical conditions and connections. VCA designed the storm drain lines, and other wet utilities such as fire water, potable water, and sanitary sewer.